Choose from 6 different exterior colors, including Granite Crystal Metallic Clear-Coat, Ivory Tri-Coat, Patriot Blue Pearl-Coat, Billet Silver Metallic Clear-Coat, Diamond Black Crystal Pearl-Coat, and Maximum Steel Metallic Clear-Coat. With RamBox, a durable and drainable storage system that is incorporated into the side of your truck bed, you can keep your belongs secure when driving down those ____ roads. Customize your Ram 1500 with Mopar® accessories, including different versions of tonneau covers, running boards, and air deflectors. The Ram 1500 offers 16 new wheel designs, including the 22-inch premium painted/polished aluminum wheels. 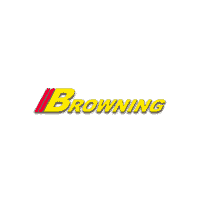 Visit us at Browning DCJR near Norco and Corona to browse our extensive inventory of Ram models, as well as our other new vehicles and new vehicle specials.